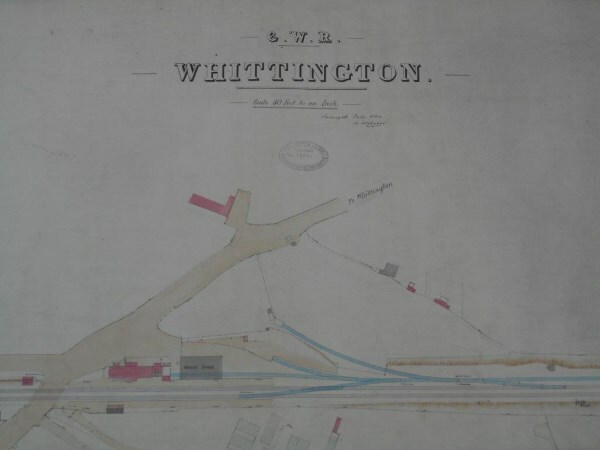 Lot 29 GWR - Rolled Signal Box Diagram from "WHITTINGTON LOW LEVEL". (Shropshire) Marked No 59063 - 1884. Size 56" x 30".